Lamp Holders and Spare Parts. Product description is coming soon..
250mm 223L/S axial fan Quietest and most reliable axial fan on market. ..
Allvent NVF 15 Centrifugal ceiling fan. 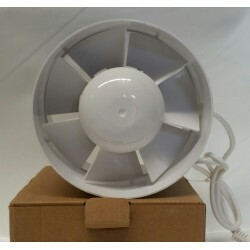 Extremely quiet fan for smaller setups (up to 600W) Perfect for wardrobes and tight spaces etc. Flus..